Over the years BCO property has been many commercial ventures – including a gas station, the Clay’s Ferry Exxon. 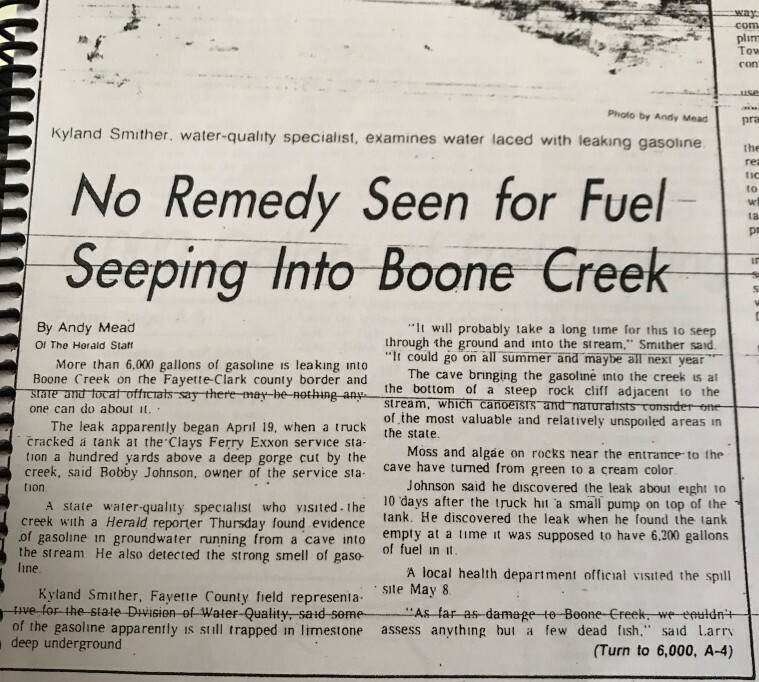 In 1978 approximately 6,000 gallons of gasoline leaked into Boone Creek when a truck cracked a tank during service. Almost 40 years later water quality has never been better, we are discovering rare flora and fauna on property, and see reasons every day to conserve this area with the utmost care! The six beaming faces above are rising freshman and sophomores at Northwestern University, Chicago, IL. Under the supervision of Joon Kim (pictured far right), this crew jumped into our Invasive Species Removal Volunteer Program this past week and we had a blast! The cacti below were photographed on site during a guided hike at BCO! Did you know Kentucky has a native cactus? The Eastern Prickly Pear can be found all across the state – living on limestone and sandstone glades, rocky cliffs and outcroppings, open woodland with shallow soil and rocks, and even in the middle of railroad tracks. And to boot, it’s edible! This week we kick off the first SUP, Zip, and Sip event with Explorer Chick and SUP Kentucky! 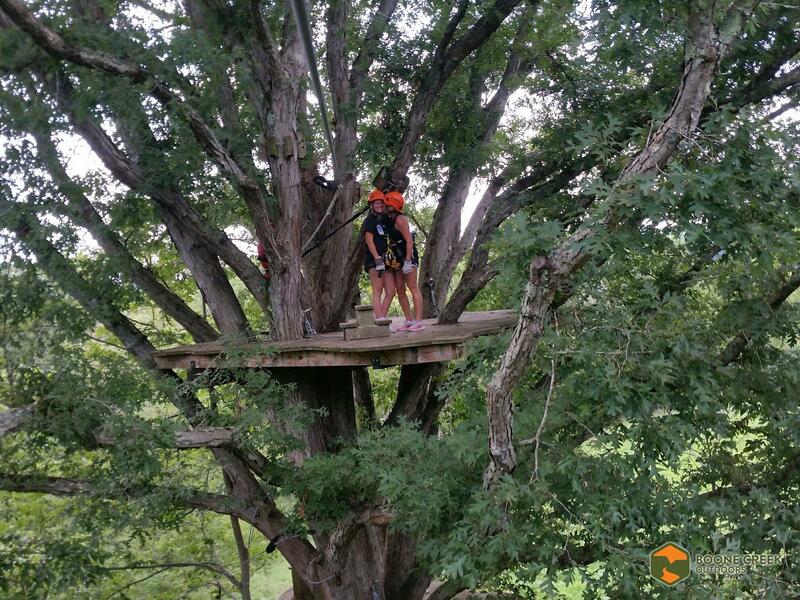 September 16th groups will Stand Up Paddle board through the Kentucky River palisades and tour the hardwood Canopy of Boone Creek! Followed by a a beer on us during a recap of the day’s adventures sharing pictures.